Indian Accent, ranked a top 100 restaurant in the world, is the most progressive Indian restaurant in Delhi. Currently located in a highbrow, residential neighborhood, it's moving to its official home at the five-star hotel The Lodhi come winter. It's a perfect match. What makes Indian Accent standout? 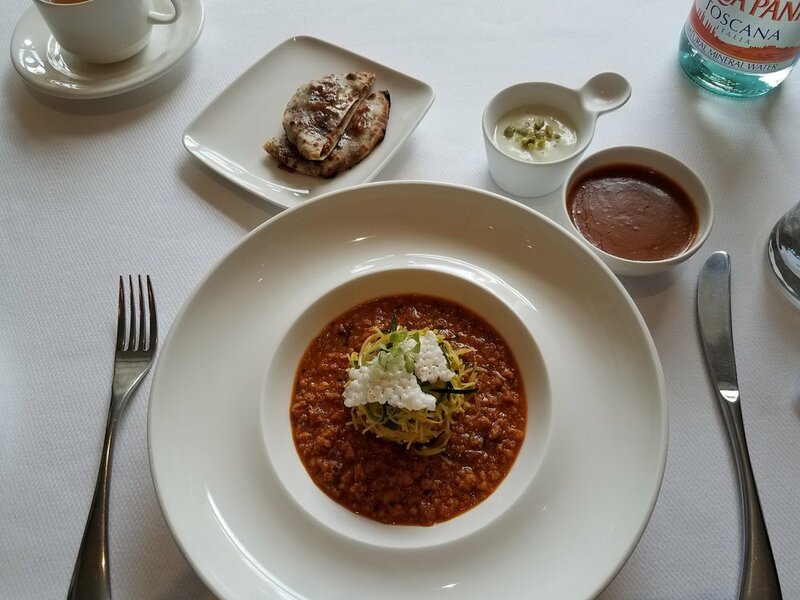 The chef puts a cosmopolitan twist on traditional Indian recipes. 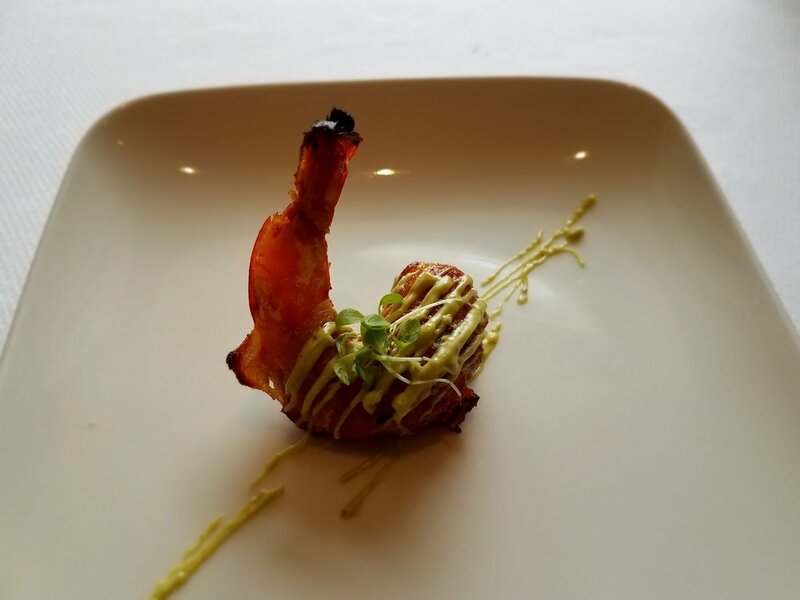 The dishes are thoughtful, progressive, carefully plated and, unlike most Indian restaurants, focus on rich, small bites in a tasting menu. It was a sensation of colors, textures, flavors and, even aesthetically, they each looked like little pieces of art. It was obviously the best meal I had in India. It was also the first meal I had when I arrived in Delhi. As most travelers know, you'll want to ease into Indian food so your stomach can acclimate to the strong spices. Easy on the stomach, Indian Accent was the perfect transition in. 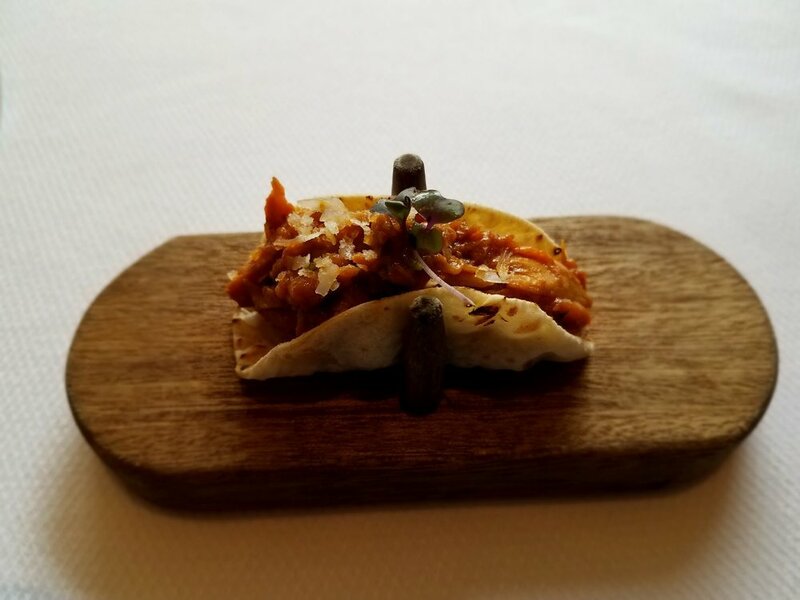 Indian Accent's Indian take on a Mexican taco. The charred tip of this shrimp was everything. Something to gnaw on like an elf. Can we talk about the bacon-infused naan bread? Digestifs in a colorful display.